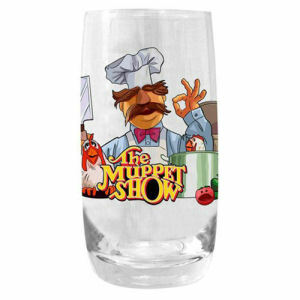 We have Just Sold out of Muppets Swedish Chef Tumbler Pint Glass. Not to Worry! Fill in the Notify me When Available and you will be the first in line for our restock of Muppets Swedish Chef Tumbler Pint Glass !! From the The Muppets collection by Diamond Select. Muppets Swedish Chef Tumbler Pint Glass. Measures approximately 5.75 inches all and holds 16 ounces. Hand wash only. Not dishwasher safe. Do not microwave. Diamond Select The Muppets Glasses shipping from Canada. No Surprise Border fees or Customs!